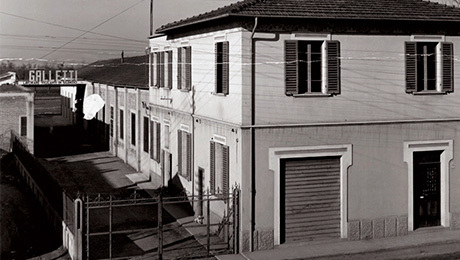 Galletti's history is a truly Italian story, comprised of not only tradition and innovation deeply rooted in the local area, but especially made up of the people whose tenacity for generations contributed to this company's success and growth. 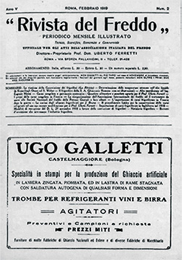 1906 marked the beginning of Galletti. The founder was Ugo Galletti, who, guided by intuition, opened a small artisan workshop specialised in ironwork and the repair of farm tools and tractors in Castel Maggiore, on the outskirts of Bologna. Italy was poised for rediscovery after the dark years of the First World War. 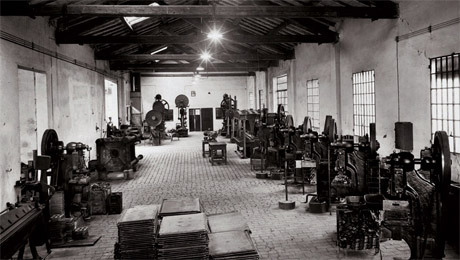 It was precisely in this period that Galletti first ventured into the refrigeration sector, producing ice-making moulds. Galletti was already a full-fledged enterprise. The company expanded, eventually occupying premises of 5,000 m2 and employing about one hundred people. The 1940s saw the end of the Second World War. The scene was one of destruction. Bombing had destroyed Galletti’s factories, but there was a great eagerness to start afresh. 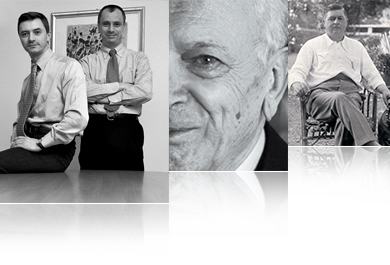 Fiorenzo and Luigi Galletti, with the foundation and teachings of their father Ugo, rolled up their sleeves and rebuilt the company from the ground up. 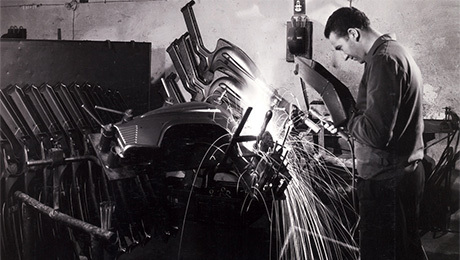 These were the years of the recovery, with work orders from such prestigious companies as Ferrari, Lamborghini Trattori, Ducati, Landini, and Ferrovie dello Stato. 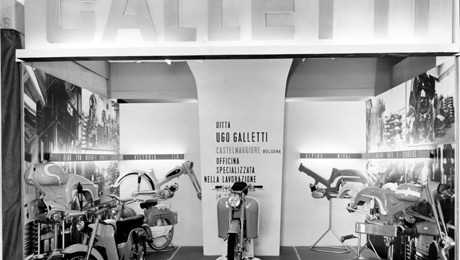 During these years Galletti also began an important phase in its history when it became specialised in manufacturing motorcycle chassis. The 1960s, the “fabulous” years of the Economic Boom. 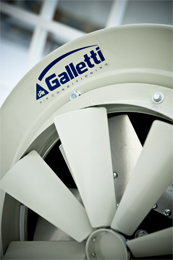 The company took the step that would determine its future: Galletti ventured into the heating sector for the first time, no longer under contract to other companies, but rather launching its own brand. The Jolly plate radiators and Condor and Falcon convection heaters were an immediate success. 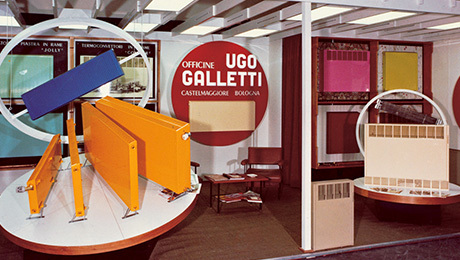 These were years of change for Galletti: after consolidating its success in the industrial heating sector with Termojet fan heaters, the company embarked on yet another transformation when it entered and became specialised in the air-conditioning sector. The first Polar Warm fan coil unit was launched, and in just a short time it became successful in Italy and abroad. Galletti entered into an important partnership with a Japanese air conditioning manufacturer and secured the domestic split air conditioner market by becoming the exclusive distributor for Italy. 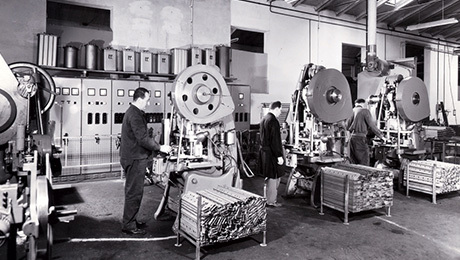 In 1982 it moved its operations to Bentivoglio, occupying premises of 9,000 m2, thus beginning a new chapter in its history. This was the age of technology. This was another fundamentally important decade for the company, which took several important steps. 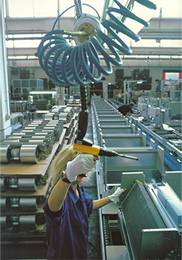 In 1994 the company obtained Eurovent certification for all of its products. 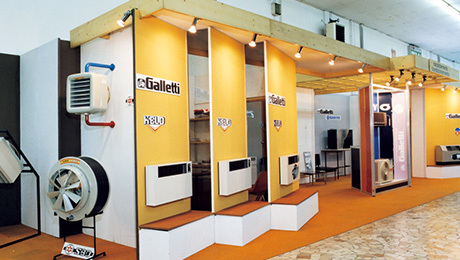 During these years Galletti began specialising in manufacturing chillers and heat pumps. In 1996 the Galletti Group began to take shape as a result of the opening of a facility dedicated to manufacturing finned heat exchangers. With a facility of 24,000 m2 and a team of more than 150 employees, the company celebrated its 100th year, and under the leadership of its CEO Luca Galletti, it confirmed its position as a leader in the market for hydronic terminal units, chillers, and heat pumps. 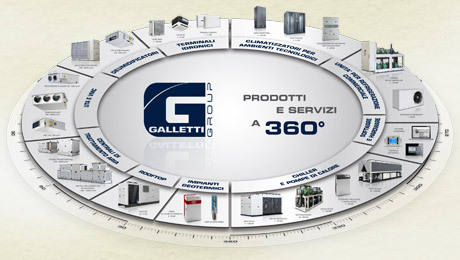 With sales of more than 2,000,000 fan coil units and more than 30 years of experience in chillers, today Galletti is one of the leading companies in the comfort heating and air conditioning sector. Galletti was joined by 6 other companies, which today make up the Galletti Group and which offer their products and services to the market as a single partner with specific expertise in all HRVAC sectors.